The man Duluth News Tribune sports columnist Bruce Bennett would one day call “without a doubt, Duluth’s finest and most beloved sportsman,” that Sports Illustrated would refer to as a “mild-mannered little Swede,” and that thousands of Minnesota Vikings fans would come to know as “Uncle Ole” had been born Oluf Haugsrud on May 13, 1899, the only child of Minnie and Helge Haugsrud. His father operated a wholesale produce business. The family attended church on Sundays at Concordia Lutheran in Superior. Even when he was young—and was still attending Superior Erickson Elementary and delivering 350 copies of the Superior Evening Telegram every afternoon—Haugsrud helped his father at work. He learned the organizational and promotional skills that would eventually serve him so well in the world of professional football. After being from the Superior Central High basketball team Haugsrud organized an independent team, the Red Devils, made up of other players who also didn’t make the high school team. Haugsrud arranged games in small towns all over Northwestern Wisconsin, including Iron River, Bayfield, and Washburn. Meanwhile, the Superior Central team went on to win the 1919 Wisconsin state championship. Haugsrud arranged a game between Superior Central and the Red Devils, and Haugsrud and his band of rejects humbled the state champions, 34–18. According to Haugsrud, the Red Devils barnstormed across Minnesota, Wisconsin, the Dakotas, and northern Iowa. The Red Devils played through 1922, with Haugsrud devoting most of his attention to scheduling games, promoting his team, and arranging travel. He didn’t realize he was in training for the NFL. Haugsrud’s love of sports drew him to the Kelley-Duluth NFL team, and he volunteered to be the team’s secretary-treasurer after the 1923 season. In 1926 he purchased the team and convinced his high school friend all-American Stanford running back to join the team as player. Kelley-Duluth would be renamed the Duluth Eskimos and known nationwide as Ernie Nevers’ Eskimos. The team found national fame, but struggled financially, Haugsrud retired the Eskimos name in 1928 when he sold the Duluth franchise back to the NFL. He didn’t get much money, but one stipulation of the sale was a piece of paper stating that if the NFL ever awarded a franchise to Minnesota, Haugsrud would be offered an opportunity to invest in the team. After his beloved Eskimos were sold and gone, Ole Haugsrud drifted to Chicago and worked as the Cardinals’ business manager. He then practiced public relations for the Detroit Lions and scouted for the New York Giants. In 1933, Haugsrud returned to Duluth just as the Civilian Conservation Corps—part of Roosevelt’s new deal—began setting up camps in and adjacent to the Zenith City. Haugsrud launched CCC Canteen Service, a series of stores that served the camps. His idea proved successful even after 1942, when the CCC camps closed, and Haugsrud opened his “canteen service” in Duluth. He sold candy, tobacco, and other convenience items. In 1965, he sold the business to Twin Ports Wholesale Grocers. Haugsrud continued to faithfully attend the annual NFL league meetings. Finally, in 1960, Haugsrud’s decades-old letter from NFL owners paid off. The former owner of the Minneapolis Lakers, Max Winter, assembled a group to bring pro football back to the Gopher State. Winter’s group—including Minneapolis businessmen Bill Boyer, H. P. Skoglund, and Bernard Ridder—decided on going with the NFL rather than the new AF. The return of the NFL to Minnesota also brought into play Haugsrud’s decades-old agreement. Invited to plunk down $60,000 to purchase a 10 percent share of the Vikings. Haugsrud happily did so. Some say he also named the team, perhaps in honor of his Superior Central High School Vikings, whose uniforms were purple and white. An owner once again in the NFL, Haugsrud enjoyed renewed fame back home in the Twin Ports. Accolades poured in. In 1962, he was named the thirty-eighth member of the Duluth Hall of Fame, an honor given annually to the city’s most outstanding citizen. “This recognition is probably the highest honor I’ll receive in my lifetime,” a typically gracious Haugsrud said at the time. 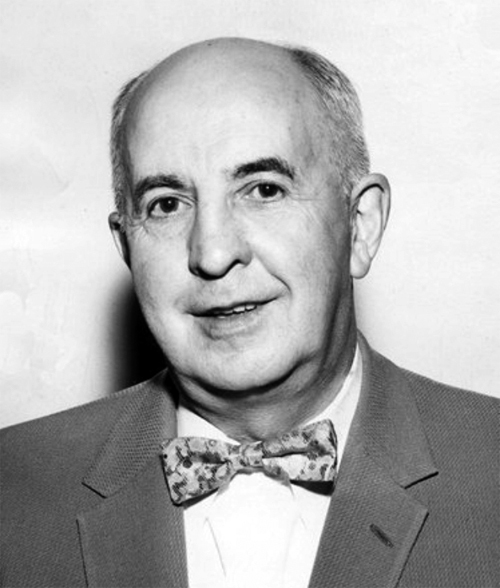 Despite losing his franchise, Ole didn’t miss a league meeting since 1922 and was a driving force behind Minnesota’s obtaining a franchise in 1960. …Ole was the only man determined that we would have professional football return to Minnesota some day. When the Vikings franchise was awarded his job was fulfilled. In 1967 Haugsrud convinced Bud Grant to leave the Winnipeg Blue Bombers of the Canadian Football League to coach the Minnesota Vikings. The following year Haugsrud was one of three members of the inaugural class of the Duluth Arena Sports Hall of Fame and in 1969 he was inducted into the Superior Athletic Hall of Fame. On March 13, 1976, following a brief illness, Ole Haugsrud died in Duluth at the age of seventy-three. In his last years, the man who had become known as “Mr. Football” and “Uncle Ole” in the Twin Ports and elsewhere had continued to use sports to reach out. The National Conference of Christians and Jews had honored Haugsrud with its 1973 Brotherhood of Man Through Sports award.